Tackle that honey-do-list with one tool! The Semi-Automatic Driver with rapid bit index and screw holder is a sure-fired way to shoot through screw driving tasks around the house. What makes the WX255L Semi-Automatic driver unique is the bits are never lost! The WX254L includes a rapid reload cartridges that house 6 common screw driving bits , making it easy to access and even easier to change. Simply go from drilling a starter hole - to driving a Phillips screw - to driving a flat head screw in a matter of seconds with the semi-automatic bit changer. It is as easy as choosing the bit, rotating the cartridge, and shutting the chamber - you are cocked and locked and ready to drive some screws! 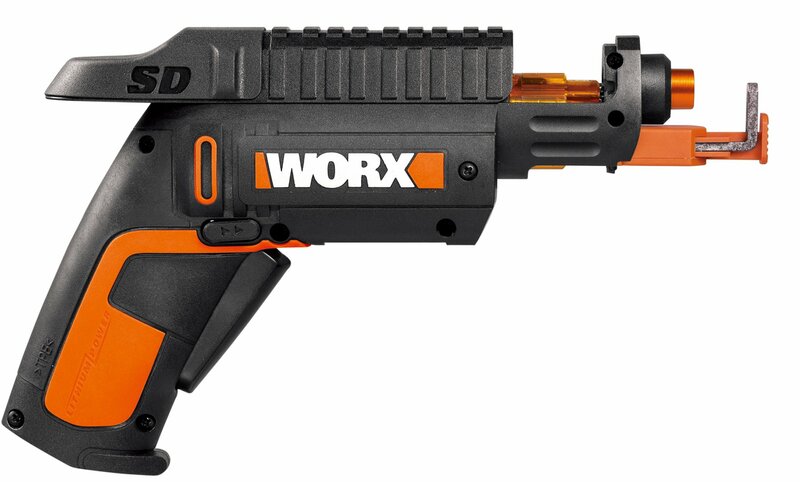 The NEW Worx SD SemiAutomatic Screw Driver with Hands-Free Screw holder holds the screw for you, eliminating the awkward job of holding the screw in tight, hard to reach places. Never lose a bit or drop a screw again. The screw holder will even grab the screw as you back it out.